Wipro Launched India's Slimmest Ultrabook !! ~ Tech Charisma--Your Own Technical Hub. Wipro Launched India's Slimmest Ultrabook !! This Year's CES was Completely a Signal of the Forthcoming Ultrabook and Ultra Thin Laptops. Apple Surely has Its Marks all the Way Ahead from another Tech Giants with its ultra Slim Macbook but Now others Have Too decided to Take the ERA of UltraSlim Laptops To Great Heights. And That is Why Wipro Infotech, the India, Middle East and Africa IT Business unit of Wipro Ltd Today Launched India's Slimmest 14" Net book Called AERO ULTRA !! Wipro Infotech Today Launched a Series of Netbooks Which Included India's Slimmest and Lightest Ultra Light Netbook call Aero Ultra !! Surely this is the Beginning of New Era of Net Books. The Advancement in technology has Surely Made us a Lot Reliable on Tiny But Powerful Electronic gadgets and This Has Been a Case With Wipro !! Every Company is Striving Hard to get a Unique Aspect in their Products and This Time It Looks Like that We will See a Competition in Thickness and Sizes . After all This is Time of Size Zero !! Isn't it ? Now Coming Back to The Ultrabook We have the Following Details about this Latest launch From Wipro !! Aero Ultra comes with with about 19.3mm thickness, making it the slimmest notebook in the 14 inch category available in India. 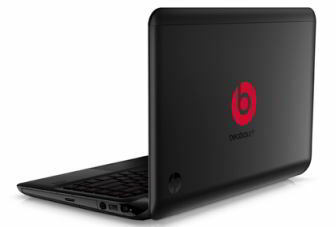 It weighs about 1.7 kg and comes with a 4GB memory and 500 GB hard disk. The e.go Aero range is priced between Rupees 39,000 and Rupees 49,000. Ashok Tripathy, VP and Business Head, Wipro Systems and Technologies said the initial adoption of the product is expected to be at the enterprise level. 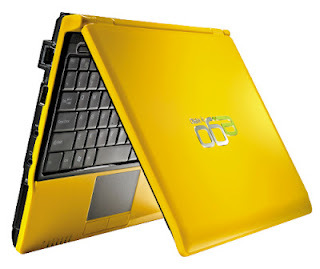 "Wipro has understood that there is a need for light-weight, powerful yet affordable laptops in India. E.go primarily targets the progressive Indian on the move," he said. Well Let's See For How Much Long , Wipro Will Survive With ag of Providing Country's Slimmest Net Book . The Tech War is On , Lets See Who Wins !! Story by :- Tech Charisma -- Your Own Technical Hub ! New Add Friend Android App using NFC-- Add FB friends by Just Touching Phones !! Unusual , Weird and Most Amusing Apps for Android !! Now You Can Remotely Destroy Your Lost Pen Drive ! !